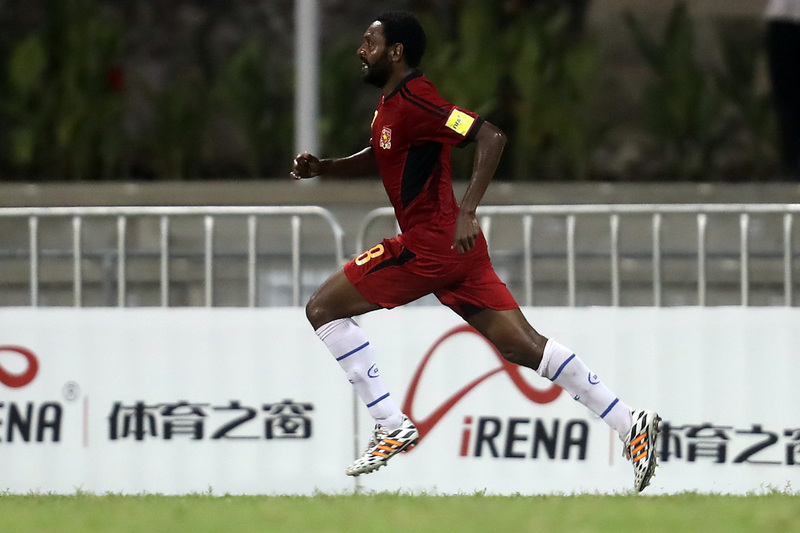 Hand-picked by coach Flemming Serritslev as captain for Papua New Guinea’s upcoming 2018 FIFA World Cup Russia™ OFC Stage 3 clashes with Solomon Islands, Michael Foster is feeling proud and confident leading their fresh-faced Kapul line-up. “To be given the captain role after so many years is a big achievement for me,” he said. “Having such a young team to lead was a huge challenge initially, but self-belief and the enthusiasm of the players has inspired me. “Imparting my experience along with several other seniors including Raymond Gunemba, Nigel Dabinyaba and now Roland Bala – just returning from New Zealand – has helped the team. Based in Melbourne playing football with Geelong FC, the recently-appointed skipper is pleased to already see a strong team spirit among the players after their first days in camp. “The guys have been getting physical and are all focused on the two weeks of intensive training to prepare for the first clash with Solomon Islands in Honiara,” he said. With mixed results against their Melanesian opponents over the years, Foster isn’t approaching the matches lightly, but with the fast progress made by the newer members to the squad, the 31-year-old Kapul veteran is confident in achieving a positive result. Solomon Islands will have the home advantage in their first encounter on 9 June, and Foster acknowledged the match will be difficult, but believes having the support of their nation will give the Kapuls the confidence they need to take home three points. Papua New Guinea will face Solomon Islands in their final Group B matches of the 2018 FIFA World Cup Russia™ OFC Stage 3 qualifiers at Lawson Tama Stadium in Honiara at 15h00 (local time) on 9 June. Both teams will then travel to Papua New Guinea for their second match at PNG Football Stadium in Port Moresby at 17h00 (local time) on 13 June.